Over 900 fund managers from 50+ countries have assets administered in Ireland. 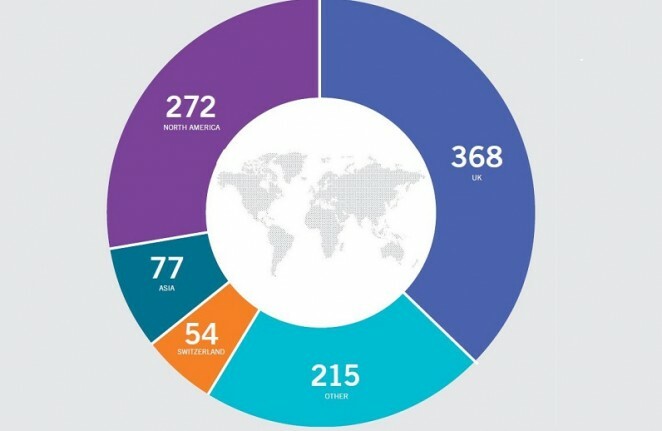 986 fund managers from 53 countries have assets administered in Ireland. 17 of the top 20 global asset managers have Irish domiciled funds. Ireland offers managers access to the EU-wide marketing passport for UCITS and AIFs. Ireland is a committed member of the European Union and will remain so, providing full market access to the EU. Ireland is an English-speaking member of the EU and Eurozone and is known for its clear and practical regulatory framework and support for the funds industry. 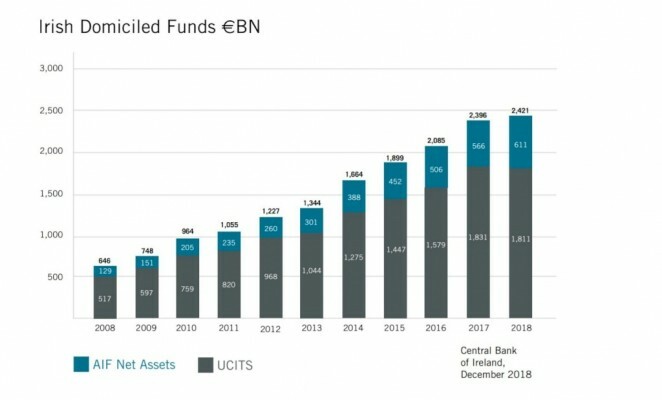 75% of the assets of Irish domiciled funds are held in UCITS. Ireland stands out as the European domicile of choice for UCITS opportunities. We have an unrivalled UCITS offering in terms of regulatory, tax, depositary and client servicing considerations. We are the fastest growing major cross border UCITS domicile. Ireland is at the forefront of bringing innovative products to market quickly. From traditional 'long only' (UCITS) to complex alternative strategies (AIFs), Ireland offers world-class product solutions catering to the widest spectrum of investment strategies. Ireland was the first regulated jurisdiction to provide a regulatory framework specifically for the alternative investment fund industry. Ireland is a major hub for distribution with international recognition. Irish funds are sold to 90 countries in the Americas, Asia and the Pacific, the Middle East and Africa. Wherever your fund is domiciled, it can be serviced out of Ireland – 30 languages and 28 currencies are fully supported. Ireland is the largest hedge fund administration centre in the world. 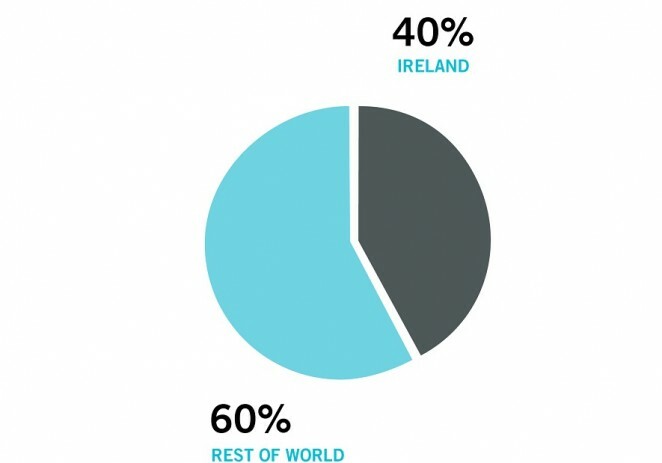 Over 40% of global hedge fund assets are serviced in Ireland. There are over 40 fund administrators and 20 depositaries, as well as a range of legal, advisory and specialist servicing firms to choose from. We service the widest range of strategies and lead best practice through industry guidance. Ireland’s funds professionals are ranked #1 in experience and flexibility. 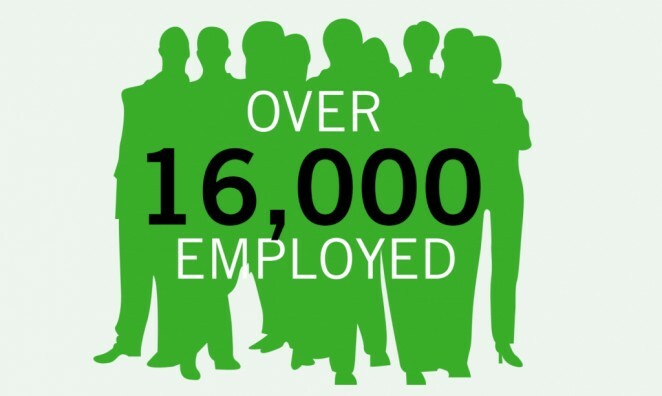 Ireland has over 25 years of experience as a leading fund centre and over 16,000 professionals dedicated to the industry. Ireland is ranked 1st in the world for the flexibility and adaptability of people. (The IMD World Competitiveness Yearbook 2017). Ireland is home to more than half of the total European ETF market. Ireland is a leading European domicile for exchange traded funds. 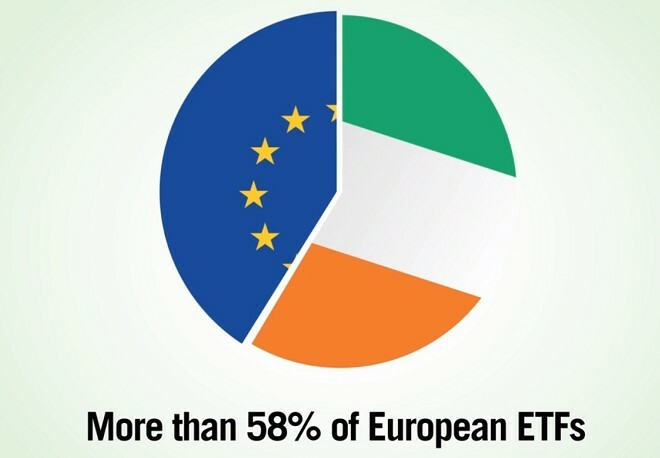 Irish domiciled ETFs represent more than 50% of the total European ETF market. The maturity of the Irish service model ensures that ETF issuers have access to service providers with highly automated and scalable global models.